This Spanish wine comes from old vines of 100% Mourvedre and aged for six months is neutral French Oak barrels. Casa Castillo Monstrell Jumilla is a medium bodied wine with a rich mouthfeel that hold in on the pallet. The wine has the aroma and flavors of black raspberries, flowers, blueberries, a hint of cherry and an earthy chalky finish that most likely results from the limestone rich soils the old vines are growing in. Fermented in steel tanks under temperature control with a soft maceration of skins. After the malolactic fermentation the wine is aged in French and American barrels for a short period (from 3 to 6 months) with the purpose of obtaining fresh and fruity wines with the character of the monastrell. 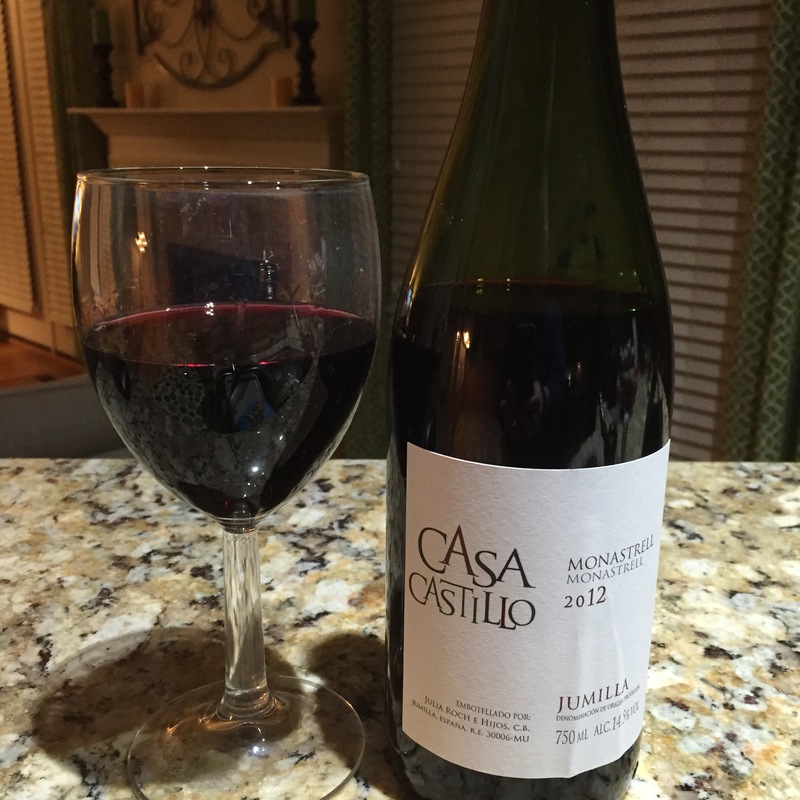 The Casa Castillo Monstrell Jumilla is a smooth wine that is not too dry nor to sweet. It is a pleasant drinking experience. This wine clearly deserves its 90 point rating. I think I would serve this wine with a moderate meal. It is not, in my opinion, a Prime Rib wine but maybe a flank steak or a meatloaf accompaniment I consider this a really good wine, not great, but really,really good and for $12 to $15 dollars a bottle it is an affordable Spanish wine it is an exceptional value.